Tax preparation is an important piece of tax resolution. Many taxpayers get behind in their tax filings which can result in large tax bills and may limit the options for tax resolution in the future. 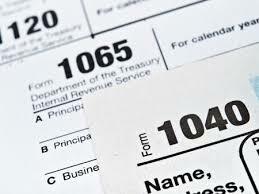 Additionally, if unfiled for too long, the IRS can file "substitute" tax returns on the taxpayers behalf. These returns usually result in taxes being assessed, without the benefit of any deductions. Filing all missing tax returns and reviewing existing returns for accuracy is a great starting point to ensure the taxpayer does not owe any more taxes than necessary. The IRS conducts frequent examinations of tax returns for accuracy. If audited, a tax professional can help support a taxpayer's position and present your case effectively. If at the conclusion of an examination, a taxpayer wants to dispute the outcome, the taxpayer has the right to sue the IRS in the U. S. Tax Court. Petitioning the U.S. Tax Court has the benefit of delaying the assessment of the proposed tax until the Tax Court hears your case. Additionally, studies have shown that having professional representation before the Tax Court significantly increases a taxpayer's success. The IRS is regulated by a lengthy set of collection procedures contained in the Internal Revenue Manual (IRM). This manual is long and complicated, but provides various resolution programs and enumerates the taxpayers rights. Understanding the taxpayer's rights is one of the most important benefits of a tax representative. Professional representation can ensure these rights, due process, advance notice of collection activities and appeals, are all protected. This can be critical to the protection of the taxpayers interests and assets. Finally, a tax representative understands all the various tax resolution programs and which would be most advantageous to his clients unique situation. Additionally, these resolutions can change over time as the client's needs change.